At Moving Service, our expertise lies in home and office removals. We offer partial services that include just packing materials, man and van hire in SW18 area, to a complete full solution that means we take care of every part of your removal process. The majority of our customers take the full solution as it saves time in searching for alternative options and gives them peace of mind that everything is being taken care of in one go. Moving can be stressful, especially the one to a new area even if it is the lovely district of Southfields. Our experience and knowledge of the area and of removals can take away this stress off you and we can make sure the removal is simple and time-effective so you have more freedom to do other moving essentials such as planning decorating or contacting people about changes of addresses. You will have everything taken care of. To find out more about our removal services, call us today on 020 8746 4402 and any one of our expert removal staff will be on hand to listen to you and offer you a free consultation. 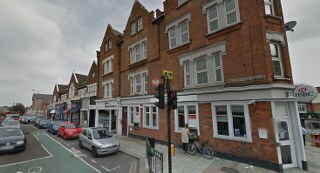 The area crosses both postcode districts of SW18 and SW19. It is a suburban district in the London Borough of Wandsworth. The main residential area is known as ‘The Grid’, so called due to the series of parallel roads that are crossed at right angles by a series of parallel streets giving it a grid layout. It is made up almost entirely by elegant and beautiful Edwardian terrace houses. Some of the houses were converted into flats in the past, although this has now been banned to keep the look of the area and preserve the historical housing. The area is served by major bus routes that connect the area to many of the major parts of the city. There is also the Southfields tube station of the London Underground network, which is located between East Putney and Wimbledon Park. The area is plentiful of small shops and little cafes that provide all the basic necessities and more for locals. It is a very popular place to live with its charming and pretty housing, as well as quiet streets and a friendly atmosphere's these qualities that are drawing people in to move and establish themselves in the area. The thing that makes Moving Service so popular is that we provide excellent and comprehensive solutions to all your removals to Southfields, SW18, whether it is home removal or office relocation. From packing to material supply, to removal van and unpacking, and to finally transporting and unloading of the items, we cover all the points of the removal process to ensure that we are with you every step of the way. Our staff collectively have years of experience and are more than competent to lift heavy or awkward items and do so with total care and attention to ensure your items remain in exactly the same condition as you left them. Our removal vans in SW19 area are new and modern, and we make sure they are in perfect condition with regular check - ups. This prevents any potential delays. You can be assured that everything is insured to give you and your belongings maximum protection and security. Your belongings are safe in our hands, that we can guarantee. To speak with one of our removal experts, then simply give us a call on 020 8746 4402 to find out more today. They will be more than happy to provide you with any information that will help assist you in your move. Great house removals company! They went the extra mile to provide me with the best possible move to Southfields.